John Connolly/Castle Connolly Medical Ltd.
John J. Connolly, the nation’s foremost expert on identifying top physicians, is the president & CEO of Castle Connolly Medical Ltd., publisher of America’s Top Doctors and other consumer guides to help people find the best healthcare. He is also vice chairman of Castle Connolly Graduate Medical Ltd., which publishes review manuals to assist resident physicians and fellows in preparing for their board exams. 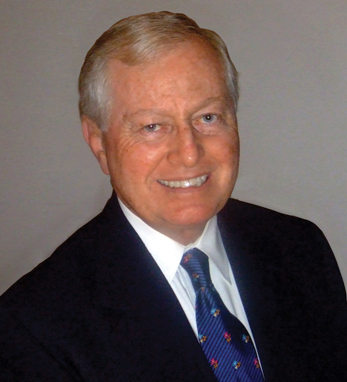 He is extensively involved in healthcare and community activities and has served on a number of voluntary and corporate boards, including the board of the American Lyme Disease Foundation, of which he is a founder and past chairman, and the Culinary Institute of America for over 20 years, where he is now chairman emeritus. He also served as a director and chairman of the Professional Examination Service and is presently on the board of the American Swiss Foundation. The author or editor of seven books, John holds a B.S. from Worcester State College, an M.A. from the University of Connecticut, and an Ed.D. in college and university administration from Teacher’s College, Columbia University.